Hurray: you’re learning to read alone. It’s really interesting. So how can you build your skills with exciting books that give you a real taste of what’s out there? Good news: the Collins Big Cat series helps you do just that. 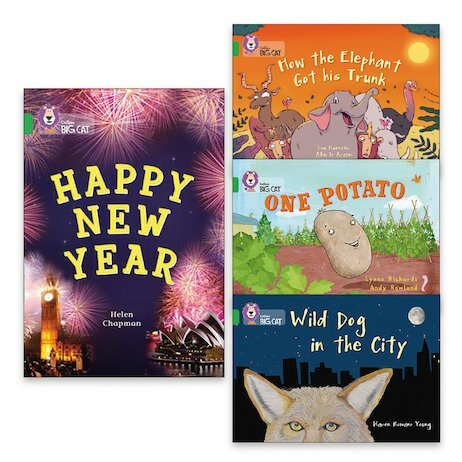 Each pack brings you two fiction and two non-fiction books matched to your book band level. Plus a huge range of text types that let you enjoy books of all kinds from the start. You’ll even improve your speaking and listening skills with tips and activities. Perfect practice for reading in real life.